Other than promising swift action, officials are planning changes in the system of disbursing funds. CHENNAI: Barely two weeks before the Supreme Court pronounces verdict that can change the way the BCCI functions, a financial fiasco in Goa has left the board busy devising damage-control measures. Other than promising swift action, officials are planning changes in the system of disbursing funds. Following the arrest of the Goa Cricket Association’s president, secretary and treasurer on charges of misusing a cheque for `2.87 crore given as BCCI grant, the board has decided to make electronic transfer to dedicated accounts mandatory for all state bodies. Action is likely against the concerned GCA officials, including president Chetan Desai, who heads the BCCI marketing committee. “Today we issued a notice to all state associations saying that payments will be made to dedicated bank accounts to be certified by the secretary and treasurer of the respective associations. The bank and the state body’s auditor will also certify that this is the account. 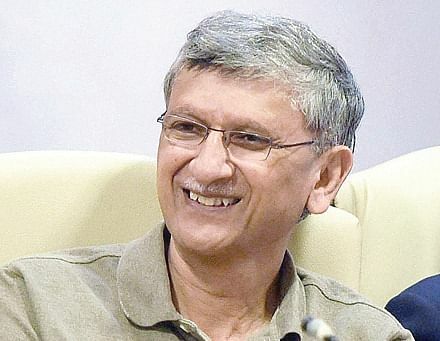 After this is done, all payments will be through electronic transfer,” BCCI secretary Ajay Shirke told Express from Mumbai on Thursday. The Goa problem started following an FIR against Desai, GCA secretary Vinod Phadke and treasurer Akbar Mulla, accusing them of encashing the cheque issued in 2007. It was alleged that they had opened another account by the name of ‘Goa Cricket Association’, deposited the cheque, and closed the account in 2008 after withdrawing the entire amount in parts. They were arrested by the Goa Police’s Economic Offences Wing on Wednesday. Desai, who has denied the charge, became GCA president last July. With him, the secretary and treasurer all arrested, the association is in unprecedented disarray. A firm backer of BCCI president Anurag Thakur, Desai contested for the post of joint secretary in 2015 and lost narrowly to Amitabh Choudhary. “It’s terrible advertisement for the BCCI at the moment, considering the harsh observations made by the Supreme Court. The board should suspend the accused if they are found guilty and make sure that they don’t get in again. Even though the institution can’t be branded corrupt because of individuals, such individuals tarnish the institution’s image,” said a senior member, who backs the Thakur-Shirke combine. Another unit head said the events highlight the importance of monitoring how state associations use the huge funds, which have been between `17 to `30 crore annually in the last few years. “Getting a reputed firm to audit accounts of all associations is a good step. But we’re at a loss to explain the Goa episode. Such irresponsible acts by long-standing members of the BCCI is inexplicable. Hopefully, the working committee will decide on this.” The working committee is meeting on June 24 in Dharamsala.